The pitcher plant Nepenthes x ventrata is gorgeous and popular with horticulturists, but it’s deadly for the insects that fall into the trap for which it is named. Yet the enzymes in the digestive fluid that fills the carnivorous plants’ vase-shape modified leaves might one day provide a service to the animal kingdom, by enabling human celiac disease patients to properly digest the grain protein gluten. University of Calgary protein chemist David Schriemer didn’t set out to identify a celiac disease treatment, even though his 15-year-old niece suffers from the disorder. Instead, he was searching for an alternative to the stomach enzyme pepsin that would be more effective in the low-pH cleavage steps of his proteomics experiments. He turned to plants, looking for enzymes far away on the phylogenetic tree from pepsin. When he tested pitcher plant secretions—which are very effective at digestion and approximately as acidic as human gastric juices—he found that they did something that pepsin could not: snip bonds linking the amino acid proline to other amino acids. 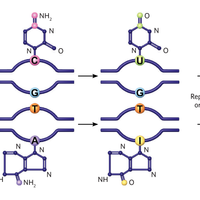 (Proline has a ring-shape structure that introduces tight curves into peptide chains.) Such enzymatic activity is relatively rare, Schriemer says. He also realized there might be another application for such an enzyme: prolines make up 15 percent of gluten. First, Schriemer had to isolate the pitcher plant enzyme responsible for the unique chemical activity, a feat that required more plants than he had in the lab. So in late 2013, he turned to the now-defunct Urban Bog, a carnivorous plant company just southeast of Vancouver, British Columbia. Urban Bog’s owners set up a greenhouse filled with 100 N. ventrata, each bearing 10 to 20 pitchers, and a Drosophila researcher colleague of Schriemer’s provided leftover flies for the pitchers’ weekly feedings. Over the span of six months, the plants yielded six liters of secretions—enough for Schriemer’s group to characterize the transcriptome and proteome of the digestive fluid (J Proteome Res, 15:3108-17, 2016). 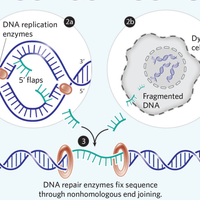 Next, they reverse-engineered the proline cleaving activity, beginning with recombinant versions of two enzymes they knew were in the mix—the aspartic proteases nepenthesin I and II. Together, these enzymes chopped up proteins effectively, but didn’t touch the bonds after prolines in the sequence of amino acids. By comparing their transcriptomic and proteomic data, however, the team discovered a new enzyme that did: neprosin, a prolyl endoprotease. 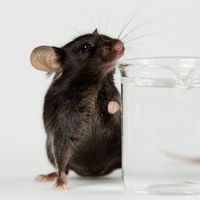 Further tests revealed that a mixture of the nepenthesins and neprosin effectively digested a protein slurry containing gluten in both a test tube and a mouse model of celiac disease (Sci Rep, 6:30980, 2016). Schriemer isn’t the first to consider a prolyl endoprotease as a potential therapy for gluten intolerance. The idea dates to 2002, when scientists at Stanford University identified a proline-rich peptide resulting from gluten breakdown that triggered the inflammation characteristic of the celiac immune response (Science, 297:2275-79). Although their venture to commercialize bacterial enzymes that break down the peptide has proved unsuccessful, another prolyl endoprotease, from the fungus Aspergillus niger, a black mold that grows on fruit, is currently available in the United States as the supplement Tolerase G (or GlutNGo). Ten years ago, the Dutch company DSM approached immunologist Frits Koning of Leiden University Medical Center about testing AN-PEP, the Aspergillus enzyme. Over the following eight years, Koning and his colleagues (who have no financial stake in the product) demonstrated that it digested the inflammatory peptide in test tubes, artificial stomachs, and healthy human subjects (Aliment Pharmacol Ther, 42:273-85, 2015). However, it’s not yet a wholly effective treatment for celiac disease, partly because its activity depends heavily on a meal’s contents. Acidic carbonated beverages boost its activity—but in DSM’s native Netherlands, people frequently wash down food with milk, which dampens the enzyme’s activity, Koning says. And because AN-PEP isn’t gluten-specific, it targets other proteins in the meal, too, reducing its gluten-chopping efficacy. The enzyme is ideal for breaking down trace amounts of contaminating gluten—but not for tackling an entire slice of bread. “It’s very hard to guarantee that such an enzyme will perform under all conditions,” Koning says. But Schriemer says the pitcher plant enzymes could get around this problem. His team demonstrated that very low concentrations of nepenthesin and neprosin—as little as 1/12,000 of total protein—were effective at digesting gluten in vitro. 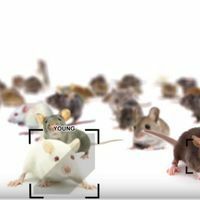 Assuming an average protein intake of 50 grams per day, a 5-milligram daily dose of these enzymes would be enough to process any gluten in the diet, Schriemer and his colleagues suggest. Koning is intrigued by that claim, but without a head-to-head comparison with AN-PEP, it’s hard to tell whether the pitcher plant–derived proteases are truly more effective, he says. Schriemer is encouraged enough by early results that he’s started a company to commercialize the enzymes. He’s been able to make recombinant neprosin, and says both potential investors and firms that would produce the recombinant pitcher plant enzymes at scale have expressed interest. Meanwhile, Schriemer’s initial study “is the first in a long series of articles that will describe other applications” of pitcher plant enzymes, says Sissi Miguel of Plant Advanced Technologies, a French biotech searching a variety of plants for new cosmetic, pharmaceutical, and agricultural applications. Earlier this year, she coauthored a study that identified 29 proteins—20 of which had never been described—in the secretions of five species of pitcher plants, not including N. ventrata (Ann Bot, 117:479-95, 2016). 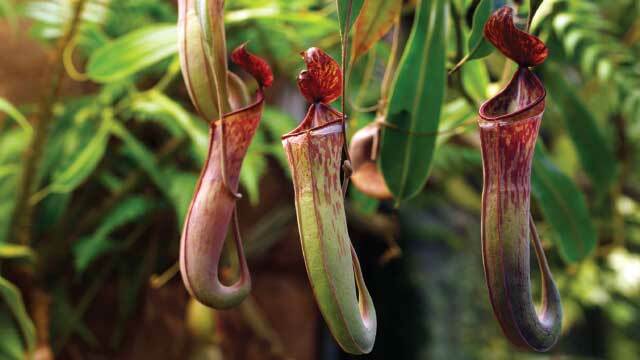 She suggests that examining a large panel of other carnivorous plants, including some of the other roughly 150 Nepenthes species such as N. ampullaria, which feasts on plant detritus rather than insects, might reveal additional valuable chemicals, such as antimicrobial peptides that help keep the pitchers’ fluid free from contamination. Schriemer agrees that pitcher plants have much more to teach us. “Whatever we thought we knew about something we discovered in the pitcher plant, it’s never quite what it seems,” he says.